On September 4, 2018, Erik Coover and START Ambassador, Lindsey Schwartz unveiled the biggest promotion to hit START yet! 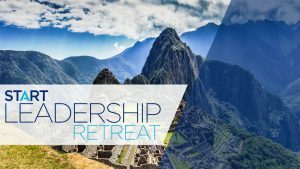 The two revealed the START Leadership Retreat, which will be held in Cusco, Peru! 1,400 START members from all over the globe tuned in to learn about event/promotion details. The retreat features an excursion to one of the new Seven Wonders of the World, Machu Picchu. 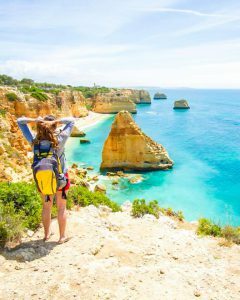 During this once-in-a-lifetime opportunity, promotion winners will explore jaw-dropping views while fully immersing themselves in local culture. Each day will be jam-packed with memorable excursions and learning opportunities. STEP 2: Meet the minimum recognition rank of 3-Star Golden Circle (START 1000). STEP 3: Achieve Paid-As Executive for a minimum of one week. STEP 4: Be a top 50 point earner by enrolling new Customers and developing Personally Enrolled Associates. [All points accrued during the qualification period will count toward your final points for the promotion – as long as you achieve the minimum qualifications (Steps 1-3) at some point during the qualification period (Sept. 3–Dec. 2, 2018)]. Each week, Erik hosts a Facebook live to let START members know who the top 100 point earners are. Official leaderboards, categorized by qualification requirements, are updated weekly here. Additionally, Directors and above receive weekly point summary emails. For more information about the START Leadership Retreat, click here! We hope to see you in Peru! Our incredible START Ambassadors have teamed up to offer members of the community valuable training to aide for the retreat! Every other week, starting September 10th, START members will have access to these exclusive trainings. The training calls will focus on a wide variety of topics to help set your business up for success and earn points in the START Leadership Retreat promotion! In addition to the weekly call series, START Ambassadors will offer trainings in the START Facebook group as well as on the official START Instagram page. Check out Ross & Danielle’s Facebook Live on Vision Casting here! The first call of the series, hosted by Rachel Briscoe, featuring Mara Pomana and Cayla Craft, spoke on vision, mindset and leadership. Throughout the call, the START Ambassadors spoke on how understanding the “why” behind Isagenix and the START movement helps set you up for success. Watch the call here! The second call focused on how to turn product users into product sharers. START Ambassadors, Abby O’Neil, Mackenzie Arball, Adam Nesbitt and Bianca Bathurst engaged in a powerhouse panel and shared their own personal routines for creating business builders. Click here to find out how you can turn product users in product sharers! Check out the Retreat tab on StartYourLife.com for past calls and a line-up of future call dates! The latest START Success Story is now available! START Success Stories feature START members from all over the world who are finding success while building their Isagenix businesses. These member stories dive deeper into the lives of START members and emphasize the value START places on community. Individuals highlighted in this series each have their own definitions of success, whether it be financial, physical, psychological or other! Heather Richmond, a new member of START 1000 shared a glimpse of her Isagenix story on stage at Global Celebration 2018. 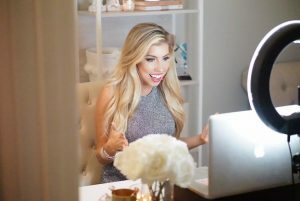 Her story resonated with many, so we reached out to her to get a deeper look into how her journey began and how she has been able to find success. This former financial analyst was compensated extremely well and loved the company that she was working for. However, she always had an uneasy feeling and felt as though she lacked a long-term purpose in life. A long-time friend, Todd Siddons, reached out to Heather and shared Isagenix. After overcoming her fears and diving into the business, she has experienced the most incredible transformation in all aspects of her life. Head on over to the News tab on StartYourLife.com to read the rest of Heather’s story, as well as check out some of our other members START Success Stories! On Friday, September 21, START members and Isagenix prospects attending IsaU Chicago gathered together for a START Social Hour. 33 START members enjoyed a night full of networking, food and fun at Punch Bowl Social in Schamburg, Illinois! Thank you to our START Social Hour Ambassador Hosts, Rachel Briscoe and Abby O’Neil for making the night one for the books! START Social Hours are a casual opportunity for START members to network and meet other like minded individuals. Guests, whether a part of Isagenix or not, are welcome to join! Keep an eye out in the START Facebook page for information about the next START Social Hour at an Isagenix event! Interested in hosting your own START Social Hour? You don’t have to wait until the next event! Host your own START Social Hour with members in your community! If you need any help, your corporate team is here to help! Email us at StartYourLife@Isagenixcorp.com with any inquires. Cooler temperatures and changing leaves mean that fall has officially made it’s appearance! What better way to enjoy this time of year than with two seasonal shakes?! Limited-edition Pumpkin Spice and Mocha IsaLean® Shakes are available in back offices for customers in the United States, Canada and Puerto Rico. 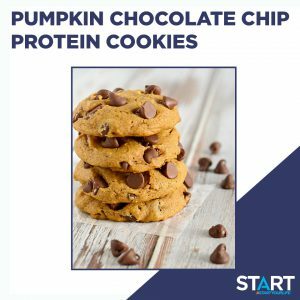 These festive cookies pack a protein punch! Enjoy this fall treat using Limited-Edition Pumpkin Spice IsaLean™Shake! Directions: Drop dollops of dough onto parchment paper. Bake at 350°F for 10-12 minutes. 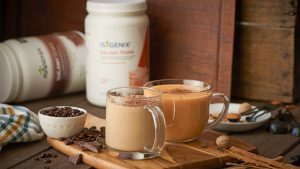 Check out Isagenix.com for more recipes like this and additional information about Isagenix products! Their hard work, consistency and commitment to changing lives earned these 20 businesses a spot at the top! 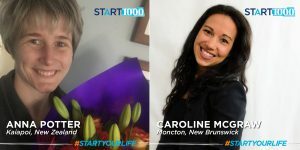 START 1000 is an exclusive club of young Isagenix leaders ages 18-35 who are eligible to earn a six-figure residual income by maintaining the status of 3-Star Golden Circle & above. Congratulations to our newest members! Events are key when it comes to forming valuable connections and growing your Isagenix business! Check out some of the events coming up below to find an event happening near you or online! For even more event opportunities and online training dates, head over to the Community tab on our website to find out more! For the latest details about upcoming START training, community efforts and more, click here! Use the hashtag #STARTYourLife on all of your posts for a chance to be featured on the official START Instagram or STARTYourLife.com!